By setting their doubts, hopes, and gratitude to song, the authors of classic hymns have comforted and guided people for centuries. 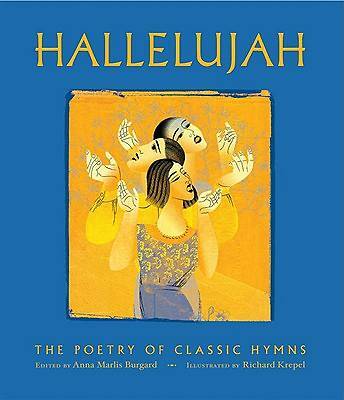 From soulful spirituals pleading for release to heartfelt hymns of praise, HALLELUJAH pairs the poetry of our language's most beautiful and moving hymns with stunning artwork inspired by their words. From standards such as "When I Survey the Wondrous Cross, ""Go Down, Moses, "and "Simple Gifts, "to less famous but equally lovely treasures, this selection spans centuries of hymns, spirituals, and carols from most Christian denominations. An introductory essay explores the ancient tradition of sacred poetry and the development of sacred song, from ancient Sumerian to early Christian Latin hymns, from Lutheran Reformation hymns to spirituals borne from slavery, and beyond. This collection reveals how the universal language of hymns allows them to cross denominations and create a brotherhood through words. HALLELUJAH is a glorious gift for everyone who cherishes spiritual poetry and enjoys reflecting on its meaning.